The writer is a professor at the Lahore School of Economics and a former vice-chancellor of the Pakistan Institute of Development Economics. IT is now a settled axiom in economics that a precondition for sustainable economic growth is macroeconomic stability. Over the years, Pakistan has learnt this the hard way. Most recently, after crawling back up to what should be its normal ‘Pakistani’ growth rate of six per cent, it now finds even this target threatened with an unsustainable current account deficit and mounting debt repayments. 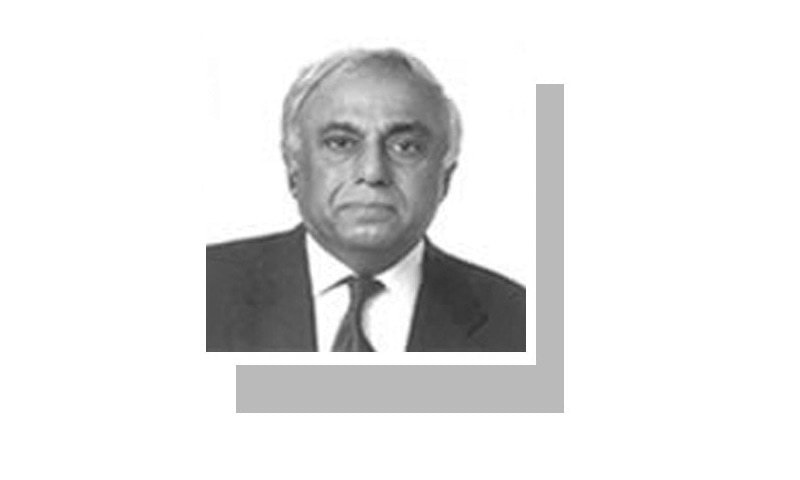 It is also by now an accepted economic axiom that Pakistan’s problems are not just cyclical but stem from severe structural economic imbalances, which, unless remedied, make sustainable growth impossible. That these can be solved by just adjusting the exchange rate or opening the economy further is part of a neoliberal fairy tale that only produces a happy ending in IMF-authored storybooks. The hard truth is that, while some price adjustments are needed periodically and should be made in a timely fashion rather than forever delayed (as in the case of the current exchange rate), for fundamental structural imbalances to be corrected we would need far-reaching changes in our current economic thinking, policies and development plans for the future. Given that the Planning Commission has now embarked upon drawing the Outline Paper for the 12th Five-Year Plan (2018-23), it is an opportune time to start this process. Any such exercise must start by accepting the harsh reality that, despite a not unimpressive growth performance (5pc over 70 years), an emerging middle class and significant reduction in extreme poverty, most people in Pakistan believe that there has been little improvement in their living standards and that poverty is rampant. There is also an overwhelming belief that Pakistan’s economy is controlled and run by ‘mafias’, both private and public, who not only dominate the economy but can steamroll policies to their advantage largely through corrupt and illegal means. The perception of Pakistan’s economy is a damaging indictment of our current system. Even if this perception is exaggerated, it is still a damaging indictment of our existing economic system and past economic performance. It means that most people believe that the system is unfair and rigged in favour of a few — and that it is near impossible to actively participate in, and gain from, the growth and development process. Clearly, it is not just Pakistan’s economic planners who must confront this problem but, more importantly, its political and economic elite. Is this an issue that either one can tackle? Yes, if a progressive political leadership were to gain power and undertake some of the following important measures. First, break the unfair monopoly of certain groups and institutions — whether in land, real estate or product markets or services — by coming down hard on unfair and corrupt market practices. This will require a much more active and empowered anti-monopoly authority than the present Competition Commission. At the same time, barriers to new entrants must be removed. For this, the banking system needs to be reformed, including breaking the current strong linkages between financial and industrial capital. The second is to reverse the economy’s premature de-industrialisation, which is responsible for Pakistan’s low total factor productivity and low levels of manufactured exports. We need to cut through the current debate between the neoliberals, supported by the World Bank, who claim that the economy is amongst the most protected, and the structuralists who argue that we have foolishly opened up the economy by slashing tariffs, entered into free-trade agreements and accepted smuggling, all of which have combined to destroy our industrial capacity and throttle future growth. The truth is, there are sectors that have been starved of imported raw materials and there are sectors that have been trampled by unfair foreign competition. What we need is an industrial policy that tackles both problems together. It has been done by the East Asian economies with time-bound and conditional support to steer industry to higher value-added products. Technology upgradation will be the key to our industrial revival. Third, we must prioritise the creation of more and better ‘decent jobs’ to meet the aspirations of a young, fast-growing labour force and reduce poverty by instituting an efficient, equitable and rights-based labour market. Job generation must be embedded in the 12th Five Year Plan with policies and sectors clearly identified that will generate much-needed additional employment given our continuing high growth rate of population. Employability here would be the key to ensure productive and remunerative employment through investment in education, skills development and acquisition of necessary social skills for teamwork. There is a growing sense of alienation amongst the working people, and this can only be overcome by providing them a voice at work through their democratically elected representatives, and rebuilding labour market institutions that provide necessary flexibility to employers as well as ensure fair wages and stable jobs to workers. Fourth, we must urgently stop the unfettered freedom that we have allowed nationals to transfer foreign exchange abroad, whether acquired legally or otherwise, and hollow out the economy through siphoning off much of the re-investible surplus. Of course, this will not be an easy task. Pakistan has run a virtually open capital account for almost 25 years, which no other developing country, including India, has done. Although it will take some deft handling by the State Bank, we must gradually institute measures to ensure that at least ill-gotten wealth and illegal transfers are curtailed. Finally, and most importantly to carry out these reforms, we would need in tandem strong judicial action to ensure that those who break the law and corrupt the system to build their wealth are justly and timely punished. The policy and systemic changes suggested here are undoubtedly challenging. But simply reviving growth without questioning its content, direction and distribution will only rebuild the same economic structure that is being strongly questioned — and rejected — by the people of this country. Giving more of the same will not work this time. Now what is the track record of development economics. A brilliant analysis of our economic situation. Sadly, intellectual analysis is not highly regarded in the current environment in Pakistan, but I hope our political and military leaders pay serious attention to what Professor Rashid Amjad is saying, and implement his suggestions. Thanks for explaining a complex subject in language even I could understand. This is a truly splendid piece! I have personally been advocating these and other policy prescriptions for the past fee years - if Pakistanis were to elect a party with a truly progressive and corruption-free agenda in 2018 (yes I'm hinting at the PTI) then and only then can the absurd myths of neoliberalism be broken and the country can forge a truly regenerative economy that works for the many and not the few, and one that grows but does not decimate the ecology that we rely on for sustaining life (clean air, drinkable water, soil with life in it, biodiversity that makes basic life possible and the land inhabitable). PIDE continues to impress- both the author and the current PIDE head have a penchant for extremely sage analysis and very sagacious advice. If only more Pakistanis were to pay heed and perhaps then the armchair musings and drawing rooms debates in the country couldn't be so stale and sans depth, and perhaps, just perhaps the people would elect a capable government. Pakistanis first need to decide if they want to live by the Norms for an Islamic Welfare State or by the Laws of Modern Western Economics. Both are not only different but diametrically different. Sustainable growth is impossible. It is impossible because population growth wipes out every economic gain Pakistan makes. The political system across the board is behind in infrastructure repairs and public welfare and education because the economic system exists only for the few and not the many. The public money is spent to make the rich, richer. That would be ok except for incredible population growth that will perpetually keep the poor, poorer. Pakistan's national budget is lacking and bloated bureuacracies cannot support the people because they spend the money on themselves. Your last words in the concluding remarks are appreciable. However, some of the most important aspects here relate to poor tax/revenue recovery system, import of non essential items causing drainage of resources, and lack of education toward creating awareness among people that self-restraint and/or austerity in the matter of consuming imported goods/services is most important. At present Pakistan needs economic reforms leading to correction of the balance of payment scenario and curtailing wastage/leakage/pilferage of resources caused by corrupt leadership as well as the bureaucrats at the cost of poor citizens roaming from pillar to post for want of jobs. An excellent analysis. Highlights major problems. FBR and the Govt have to eradicate corruption to provide a Level playing field for the Domestic Industry to Grow. Every day money is sent abroad through non formal channels and duties and taxes are evaded by clearing containers on weight basis declaring cargo as miscellaneous rather than PCT headings. Traders do not pay GST on goods at the retail stage whereas the domestic Industry which pays it suffers and can,t compete with the imported goods on pricing even if their product is better.